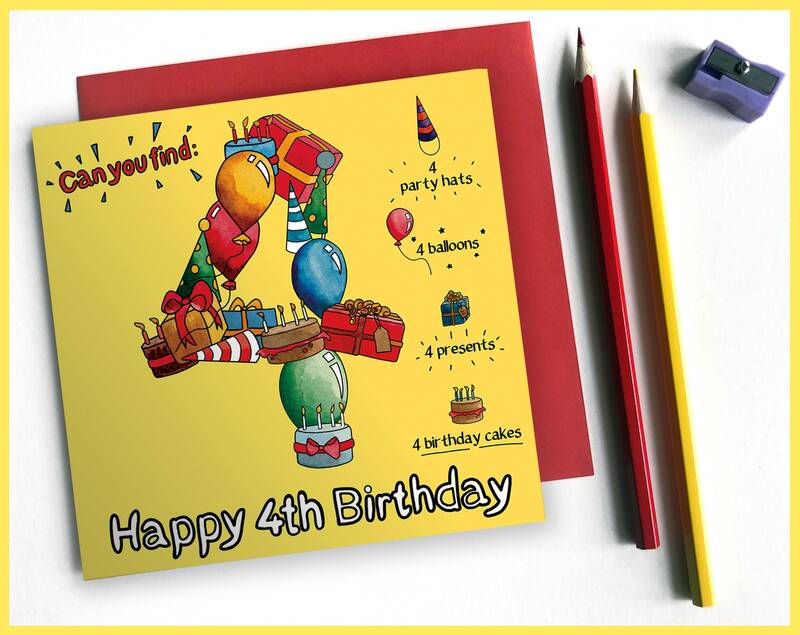 Say 'Happy 4th Birthday' with this brightly coloured activity birthday card! 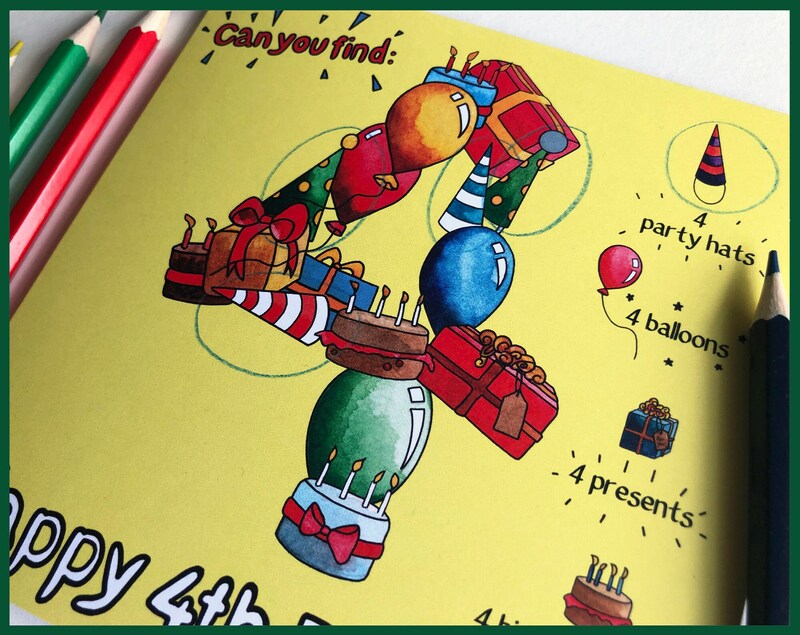 Can you find: 4 Party Hats? What about 4 Birthday Cakes? 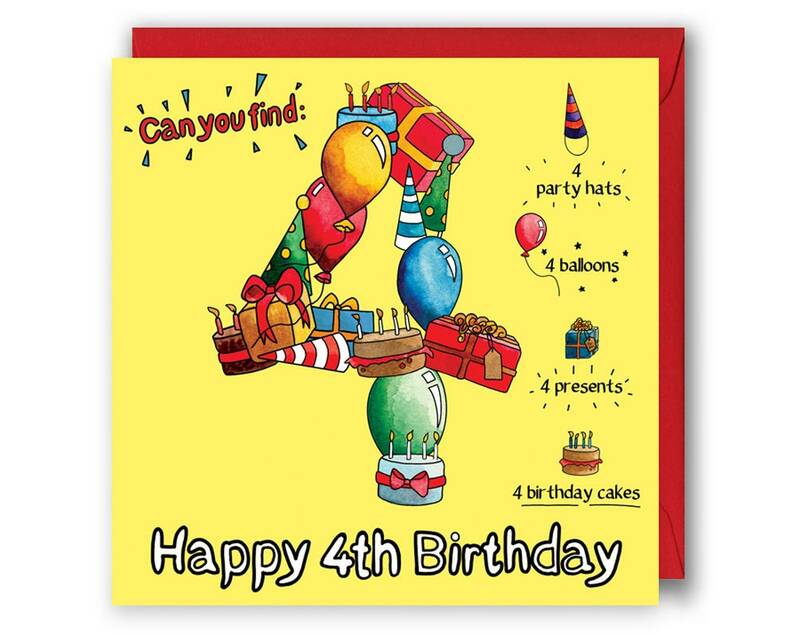 Theres 16 objects hidden within this decorate number card, and your favorite four year old will love finding each one. 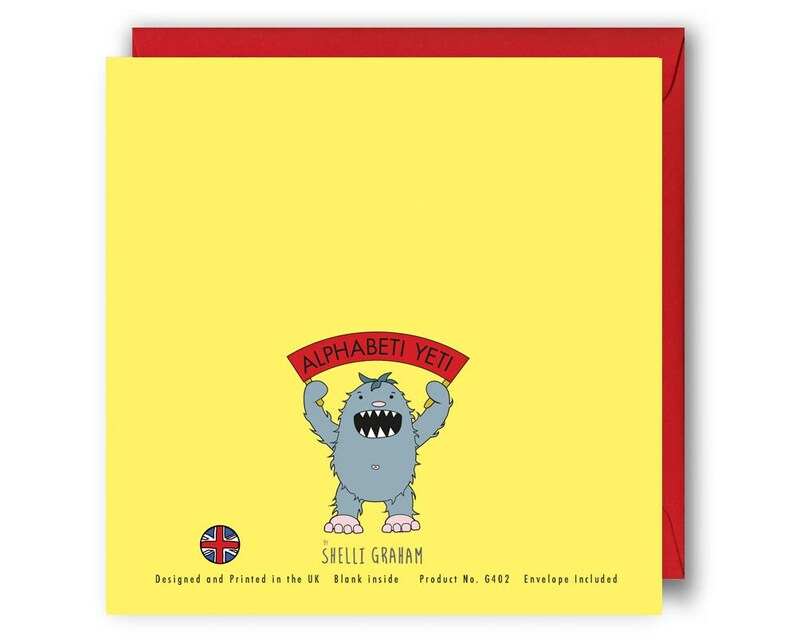 Don't worry, if they get stuck theres answers on the back! 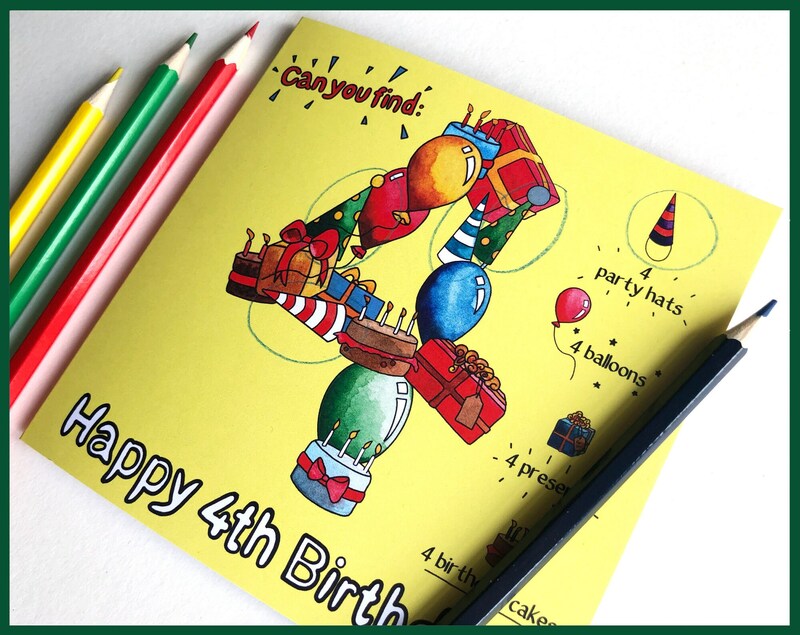 This eye-catching 4th birthday card is perfect for both a boys and a girls 4th birthday.